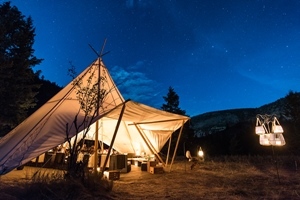 Luxury Ice Cap Glamping Excursions. Explore British Columbia’s super natural geoclimatic environments. These BC Wilderness experiences will take you from the ocean, to the desert, to the top of an Ice Cap. Your dream adventures will be outfitted with the most gracious and stylized comforts ever combined in such wondrous environments. 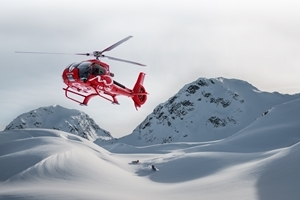 Whether you want to explore one or all of the uniquely distinct BC Regions, these wilderness experiences include private helicopter access to the most stunning remote backcountry locations and a private Chef-de-Cuisine. Your personalized expedition is perfectly balanced between adventure, tranquility and style. Journey up the lush Pacific Coast in the comforts of a luxury yacht. This area characterized by its flora and fauna, coast temperate rainforests filled with a variety of conifers, land and marine life such as grizzly bears and whales, wild fjords, and more. Spend your days thrilling in an ocean rim hike complete with waterfalls, as well as other activities such as sea kayaking with killer whales. 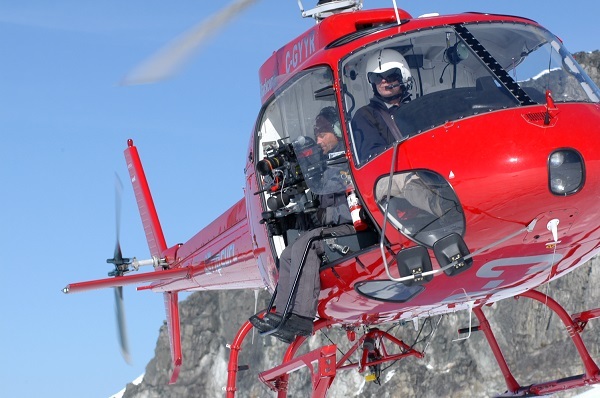 Fly over scenic Coast Mountain Ranges to desert canyons. Every aspect of this unique experience can be tailored to your own desires from rafting down a Class IV River that spans over a hundred miles and winds through rich mountain forests and sky-high hoodoos, to heli mountain biking, heli horse riding, custom designed via ferratta, hiking in stunning alpine meadows, and so much more. When it’s time to rest your head, take comfort in your fully glamorized Canyon Camp tent. Continue your journey to the largest, southernmost temperate latitude ice cap in the world located at the doorstep of Whistler. The Ice Cap is the migrating highway for wildlife including grizzly bears, wolverines, black bears, cougars, and mountain goats. The Ice Cap is home to Head-Line’s signature Ice Cave experience. 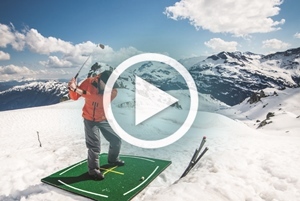 Other activities to add your vacation include rappelling down a waterfall, heli snowmobiling, Glacier Golf, Heli Skiing and more. Before taking rest in your deluxe Ice Cap Glacier Pod for the night, be sure to take in enchanting beauty of the world’s most spectacular natural observatory. Shinning stars and meteorites will light up the sky in ways you might have only thought possible in movies. Whatever you desires, Head-Line Mountain Holidays’ team of adventure specialist will custom design your next vacation in the most wondrous ways. 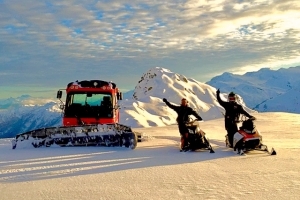 Contact us to craft your exclusive backcountry wilderness experience. 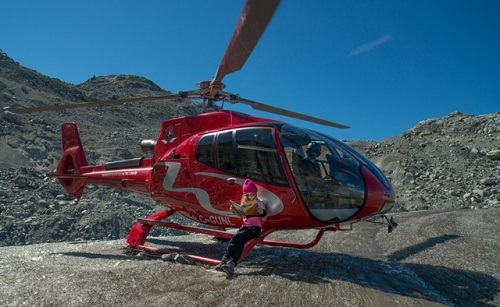 Helicopter transfer to wilderness locations. 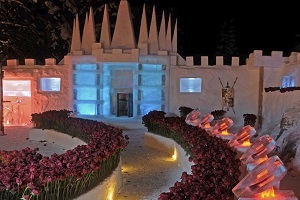 This secluded, overnight winter fantasy Snow Fortress would be and outfitted in the most stylized winter comforts ever combined and could be tailored in several ways including custom ice bars, projection mapping, and branded ice sculptures. Whether exploring the Ice Cap via snowmobile by day, or peering deep into space through our telescope by night, this experience is as unique as any Arctic and Antarctic expedition. 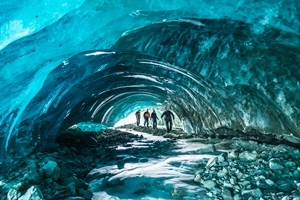 Every aspect of this unique experience can be tailored to your own desires from expert fire-side Indigenous story tellers, to Ice Cave explorations, glacier walks, astronomers, yoga instructors and so much more.